We’re your professional, Internet-enabled accounting department. We provide everything - services, software and hardware. We work directly with your staff to collect vendor invoices. Invoices are then scanned and saved to a secure filing system. We custom design Cash Requirements reports, Cost of Sale reports and others to provide for your management team. We review vendor statements to make sure costs are recorded in the correct period. We work with your POS system provider to build a custom integration: sales are imported directly on a daily basis into your general ledger. We use this information to provide reports, reconcile bank accounts and file sales taxes. We record and track assets using our software, providing your tax preparer with detailed information necessary for property tax returns and annual income tax filings. Staying on top of weekly tasks such as bank reconciliations, payroll entries and accruals, allows us to provide you with monthly financial statements within 5 to 7 days. Restaurants are our passion. We stay on top of industry standards, providing guidance to restaurants on important issues including sales and use tax, tip reporting, and industry metrics. Other options tailored to the specific needs of each client. 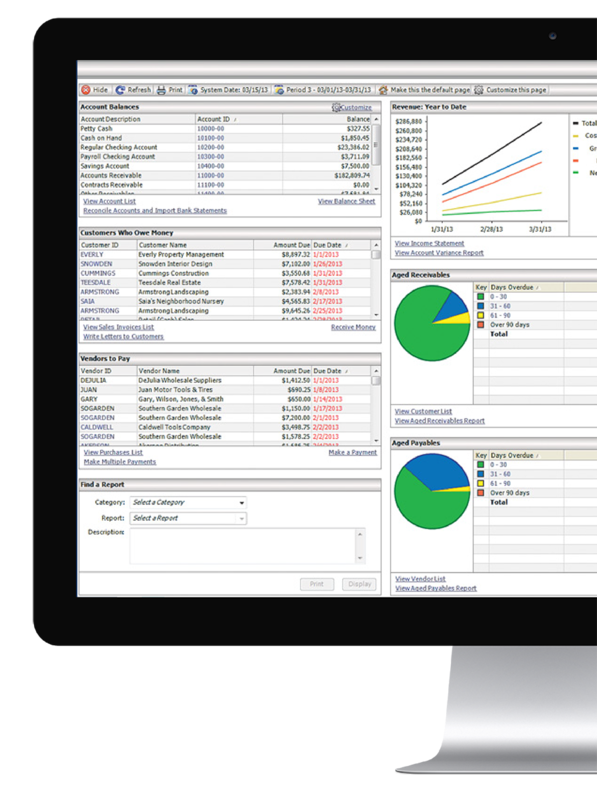 Internet browser access to your accounting data. Experienced, highly trained, attentive accountants to keep you on track. Your accounting work is performed conveniently close to your business. Our staff has years of experience. This extensive knowledge allows us to implement tried and true best practices to meet your needs. NetFinancials understands this market segment having successfully worked with some of the biggest names in quick-service burgers. Restaurateurs trust us to count the beans in this expanding market segment while they cook 'em! We monitor and report on critical indicators of restaurant health such as daily sales, year-on-year comps, return-on-investment and cash-on-cash return. We understand the critical operating principles employed to run a successful multi-unit restaurant company. Fine-dining is one of the most challenging, difficult and rewarding operations to run. NetFinancials knows that staying on top of your numbers is essential to success.